Lieutenant General in Israeli Intelligence.Meir was born in Hungary, to his parents Amalia (nee Obermayer) and Joseph Bineth on June, 27th, 1917, while his father was serving in the Army. Meir’s mother had moved to Szombathely, Hungary to be with her husband's family for the birth. In 1919 the family moved back to Koln (Germany), were his father worked, which was from then the family’s permanent residence. Meir studied at the Jewish "Yavneh" Jawne high school in Cologne . Meir was an outstanding pupil, and won prizes for his talent and craftsmanship. In 1935, at the age of 18, Meir and his parents escaped Nazi Germany and moved to Tel Aviv, where he worked in various jobs to support his parents and volunteered in the “Magen David” organization. From 1936 to 1937, he trained in various branches of agriculture and completed a "Haganah" training course at Kfar -Hassidim. From August 1942 through October 1945, he worked for the Anglo-Iranian Oil Company in Abadan, Iran, under a contract operated by "Solel Boneh". He was seconded there as a grade A instrument mechanic, also filling the position of "Job Officer" (a personnel manager/supervisor) in the instrument control service. While in Abadan, he completed his formal studies by correspondence, studied Persian, and voluntarily made contact with local Jewish youth, teaching them Hebrew and Israeli folklore, and preparing them for "Aliyah". In 1946, he moved to Liverpool (UK), to study Radio Telephony, and Electrical Engineering. From 1948 to 1949, Bineth served as an officer in the IDF Communication Corps and was a member of the “Gidonim”. First station at the "Coastal station" "student's apartment" in Canfield Gardens street, London, but most of the time he was posted to Italy, where he purchased, developed and operated communication equipment (device) for "Haapala" ships, – to help the illegal immigration of Holocaust survivors to Israel. In 1949, Bineth joined Israeli Intelligence and was sent to Iraq on a secret mission. From 1950 to 1951, he continued his studies at the "Colwyn Bay Wireless College", in North Wales. Bineth’s last duty and mission was as an Israeli intelligence spy in Egypt, from April 1952 to the end of 1954. He was sent there undercover as a German businessman, representing various German firms – primarily, Von–Laufenberg, a firm manufacturing artificial limbs for the wounded and crippled. Among other export firms he represented (as a consultant engineer), was the German branch of Ford – The "Anglo–Egyptian Motors Company". His wife & daughter joined him in Cairo during the last seven or eight months of his service there. Bineth's mission was to gather information for Israeli Intelligence. Many doors of Egypt’s top military echelon opened before him; he also had connections with General Muhammad Naguib, then President of Egypt. 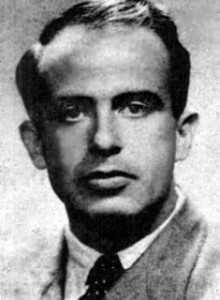 Meir was caught and arrested after the fall of the "network" (the Egyptian Zionist espionage and sabotage ring), an affair which later became known as “Esek Habish” (the mishap). Meir Bineth was ordered by a senior officer in Israel to deliver money for the groups needs and had met Marcelle Ninio a few times. Marcel was the last to be caught; under torture she gave Meir’s car description. After 5 months of interrogation and torture, on the day before his trial, Meir Bineth committed suicide in his prison cell. He realized that there was no way out for him and did not want to give the Egyptians the pleasure of hanging him in public, which was the fate awaiting him after conviction. His body was re-interred in the Mt Herzl Military Cemetery, Jerusalem, in 1959. Meir Max Bineth loved music and played various instruments – this passion accompanied him wherever he was; he was also noted for his sense of humor. Max Bineth spoke six languages, his love for classical music accompanied him wherever he was. He painted and kept a diary of his experiences. Max Bineth was an intellectual, a pacifist and a great patriot.